When Congressman Tim Huelskamp (R -KS) suffered a stroke and died in a remote Kansas motel in 2009, his son Tim jr., who had a jaundiced view of politics, worked with a group of fellow students at the nearby Norton Institute of Taxidermy to conceal his death and to assemble a stuffed animatronic replica; they announced that Huelskamp had suffered a stroke and laid bets as to how long the prank would go undetected. Within the automaton was a duck trained to peck one of four buttons when it heard a “trigger” word. The buttons were linked to four brief recorded speeches: “Islamic Terrorists”, “Border Security”, “Government Over-Spending”, and “Our Boys Overseas”. When the duck matched the correct button, a mechanism released a tasty pellet. At the end of the day, the duck was released for several hours in ponds near the Congressman’s residences in Arlington and Topeka. Those who noticed Huelskamp’s awkward gait, lack of spontaneity, and wooden facial expression laid them to the aftereffects of his stroke. He was maneuvered by actresses dressed as nurse aides; money came from the automaton’s continuing to draw Huelskamp’s congressional salary. 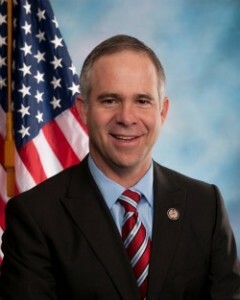 The automaton completed Huelskamp’s term and was reelected unopposed in 2010. However, during a 2011 House rollcall on a bill to eliminate the Department of Health, Education, and Welfare, the automaton was observed squatting in the aisle next to its desk and flapping its arms, as if laying an egg. During the ensuing commotion, the duck began to quack loudly and repeatedly pushed all four buttons. The next day, the automaton was removed from its seat by vote of the House, 37 congressmen voting nay because of Huelskamp’s consistent party-line voting record. ANNUAL SALE: Save money so you can pay your taxes: take 15% off any bottle, 20% if you buy 12 or more, through May 10, 2016. Liqueurs have a bad name, earned by being represented by awful renditions like Chambord. Almost all the leading brands are over 30% sugar; according to nutrition sites on the web, a bottle of Grand Marnier contains something like 42 teaspoons of sugar, close to half a pound; Kahlua uses over 50% more sweetener, including corn syrup. Sweeteners allow producers to mask the low quality of the alcohol used, which is why such products have the reputation of causing tough hang-overs. It’s too bad. The purpose of liqueur is to be able to put great ingredients, like fresh fruit juices, or good coffee, or macerated orange peel, in a bottle by adding alcohol to 20-25%, which prevents decay or oxidation. If you use care, and well-made alcohol, and excellent ingredients, a bit of invert sugar to deal with the acidity/slight bitterness of say fresh raspberries, you get something that is wonderful to drink. Most folks chill them slightly. When we pour at tasting events, frequently the most popular item, the one that folks send their friends back to the table to taste, is Crispin Cain’s Rose Liqueur or the Germain-Robin Pear de Pear or the Infusion Works Seville Orange, which is essentially a 37% liqueur under the sobriquet “flavored brandy”.